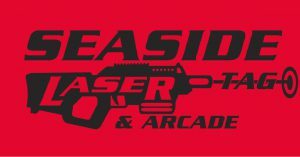 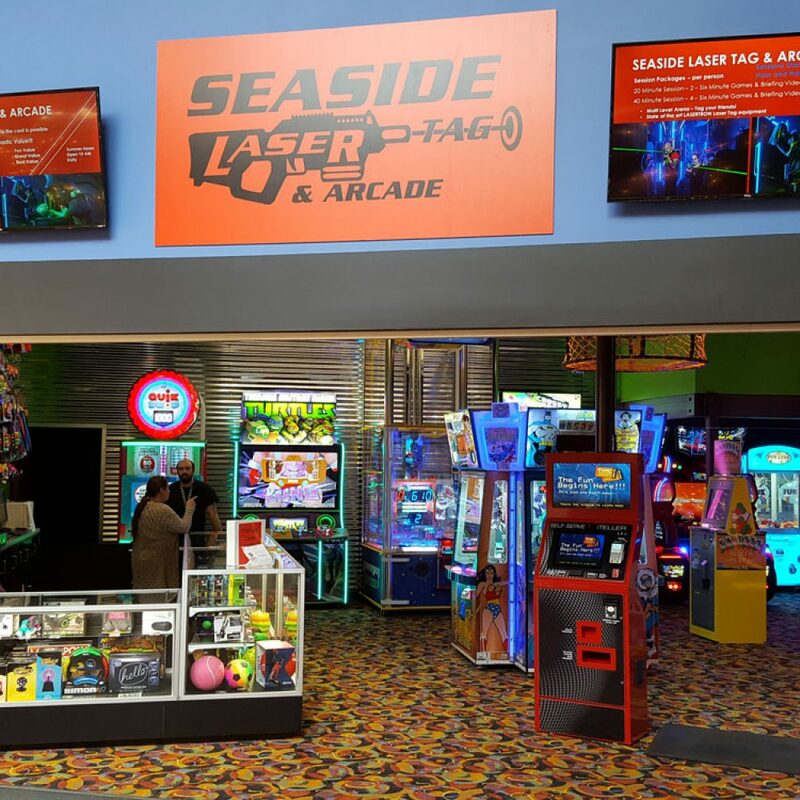 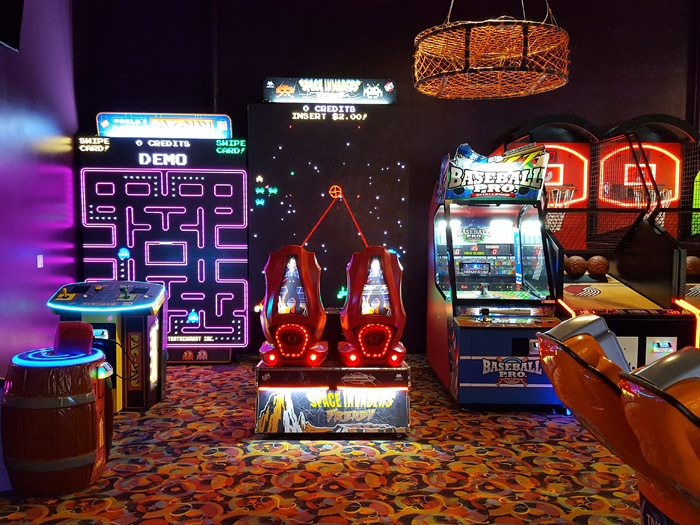 You’ll love the Arcade here! 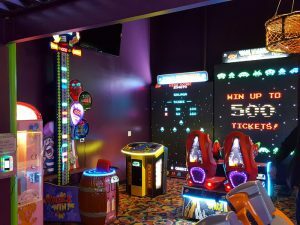 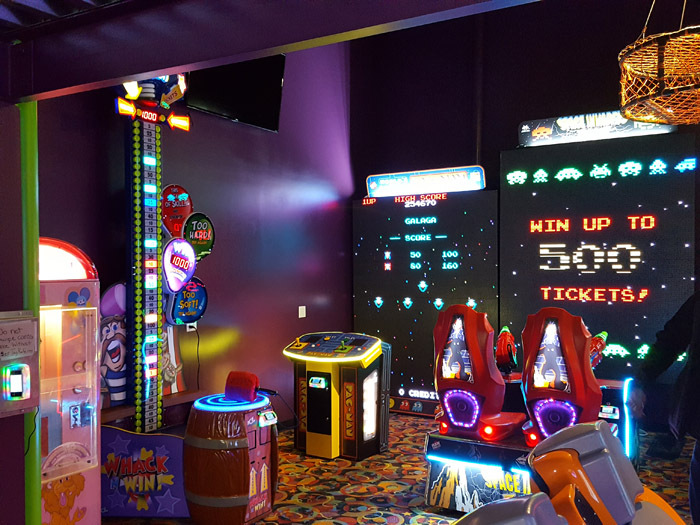 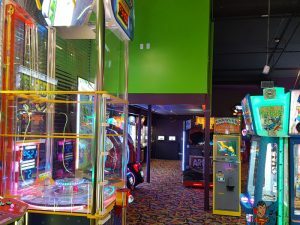 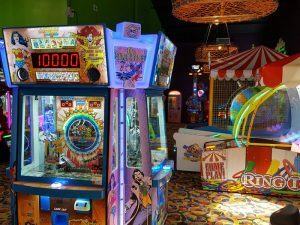 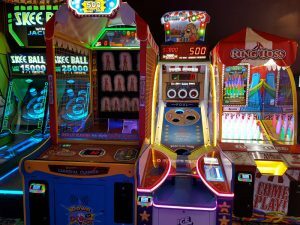 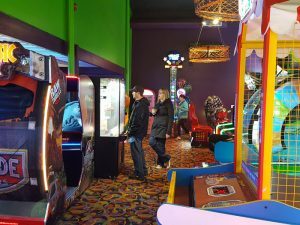 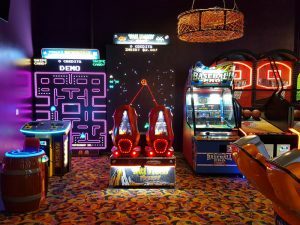 We have over 30 of the most popular arcade games with a new twist on two of the classics: the world’s largest Pac-Man and Space Invader Frenzy. 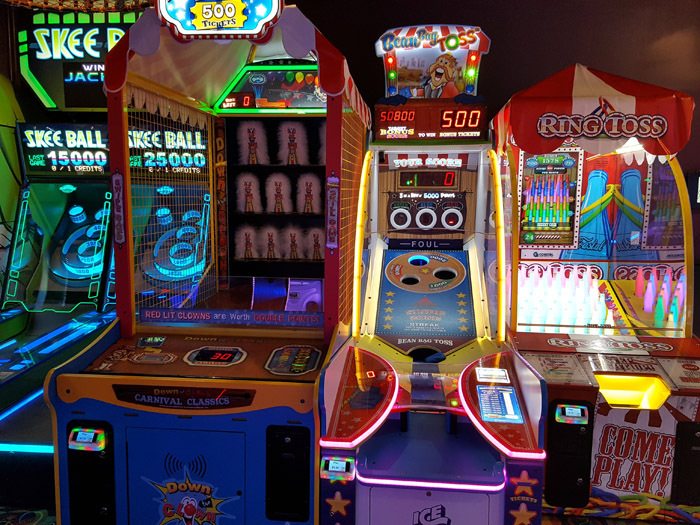 Get your game card and play to win. 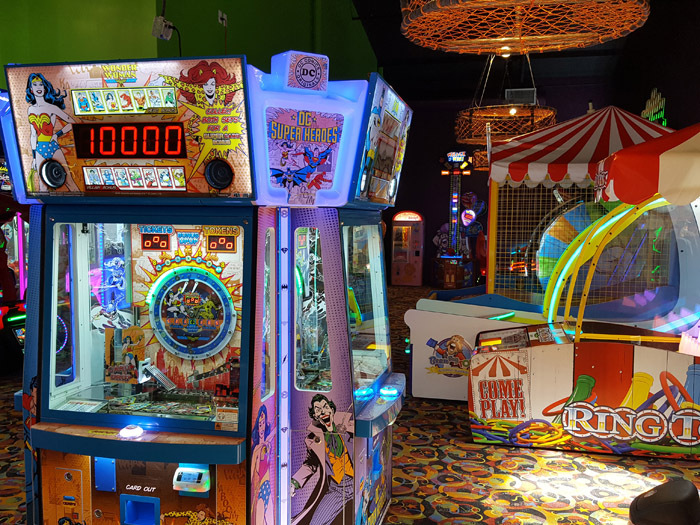 Redeem your winning tickets for great prizes. 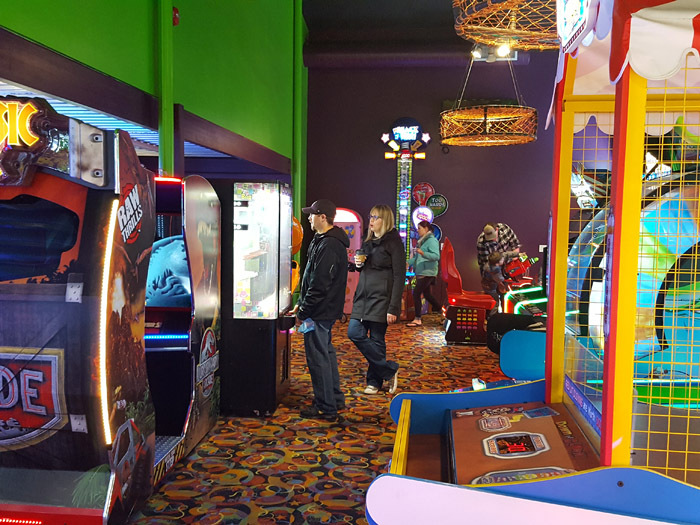 The games are fun for all ages.